Before we start providing any names of the best open source e-commerce platforms, it is essential to do some defining. Hosting. 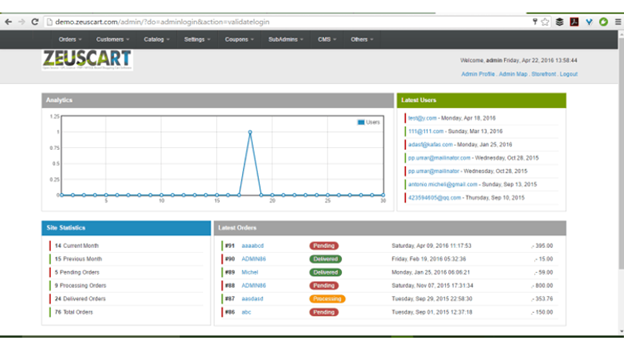 Users can choose cloud or on-premise environments. PCI compliance. Merchants can determine how they implement the security standards put forth for accepting payment from customers via debit or credit cards from different channels. Feel free to learn more about credit card processing. Security. 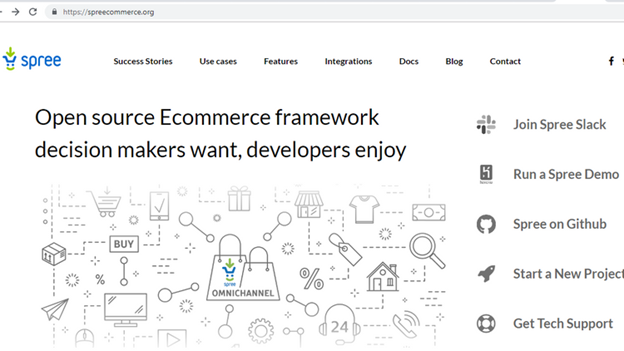 Open source e-commerce platforms give website owners control over the security frameworks they implement. Quality Assurance (QA). 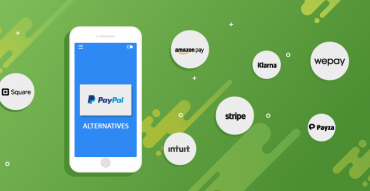 With open-source e-commerce platforms, merchants can perform QA for all applications as well as their integrations, for example, CRM, ESP, ERP, CMS, and so forth. Creation of new tools. Users have full control when developing new tools on their websites including merchandising tools, promotion and discount engines, design drag and drop features, among other things. Updates. Merchants have the final say regarding the updates to install and manual patches. Thus far, we have defined an open source e-commerce platform and highlighted the different facets this solution gives merchants control over. With that out of the way, which open source e-commerce platform should you use to reap maximum benefits? Well, coming up are twelve platforms with detailed explanations. Look through them with your business in mind to determine the best open source e-commerce platform for you. WooCommerce is regarded as WordPress’s leading open source e-commerce platform with a 28% worldwide market share as of 2018. It has a large and fast-growing user community who love it for its smooth integration with WordPress. Who uses WooCommerce? Cupcake Studio and EcoKitty are examples of brands that use this platform. Today, people have 2 times more interactions with businesses on mobile than on other channels. WooCommerce is best for creating mobile-friendly websites that allow you to push your brand among mobile users. In fact, you can develop a mobile application for your storefront by merely installing an add-on. 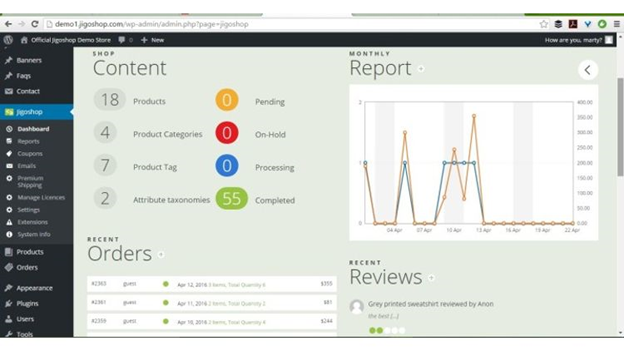 The Magento Community Edition is among the best open source e-commerce platforms. And the most popular ones. It has over 200,000 users despite not being as powerful as the Magento Enterprise Edition used by reputable companies such as Samsung and Nike. 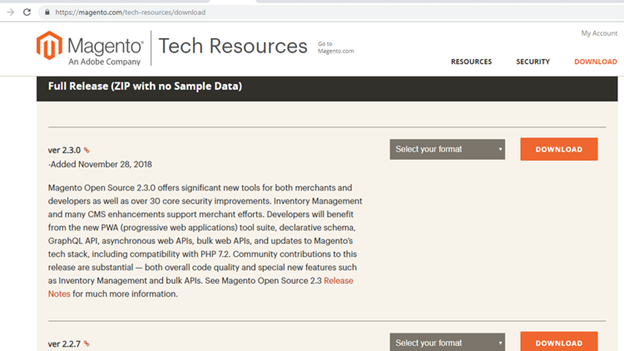 Magento Community Edition stands out in that it comes with lots of useful features which are often not accessible on other open source e-commerce platforms. For instance, you can select a language from several options, manage many stores, and work with different currencies. Given that this is open source, there are frequent updates from users who add new extensions and plugins in a bid to improve the software. Since it’s a free e-commerce platform, you can quickly start using it to see if it is right for your business with the option of upgrading to Enterprise Edition later. This free open source e-commerce platform is mostly used by small businesses that do not have staff with much programming know-how. It is quite simple in that it lacks most functionalities found on a typical open source shopping cart software. Its advantage is that it does not drag on the server while the major drawback is that it is not compatible with most plugins. Over 250,000 stores use this platform because it is easy to install and is customizable. Moreover, with PrestaShop, you can download either the self-hosted or fully-hosted version of the software. You can choose a specific option based on the level of technical control you wish to have. PrestaShop’s notable downside is that you cannot go overboard with customizing your website. 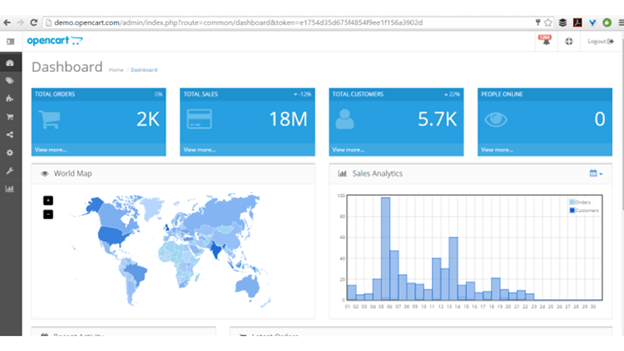 To achieve full customization, you have to purchase additional templates and themes. For the past fifteen years, osCommerce has been among the most trusted platforms. It grants you access to over 7000 add-ons created by osCommerce users. Furthermore, it enables you to customize the design, enhance the appearance, and improve the functionality of your website. Given that over 260,000 users use this open source e-commerce platform, you are sure of a vast support network whenever you face problems. The major drawback to this software is that it is old and thus is not as scalable as newer platforms. This Ruby on Rails based platform is relatively new and is preferred among developers, store owners, and developers due to its small learning curve and modular platform that make it easy to set up and upgrade functionality. Retailers such as Nutrisystem and 3D Robotics use this platform. 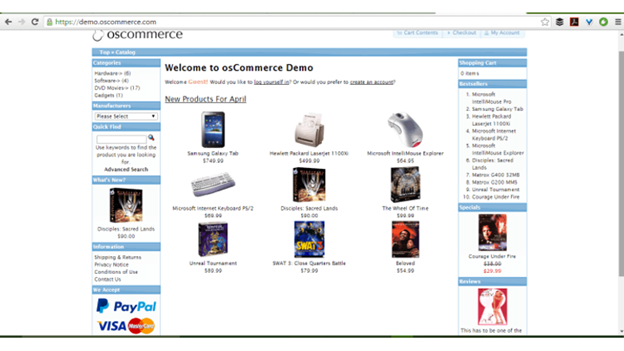 Spree Commerce allows for timely updates because it supports all extensions you might require. 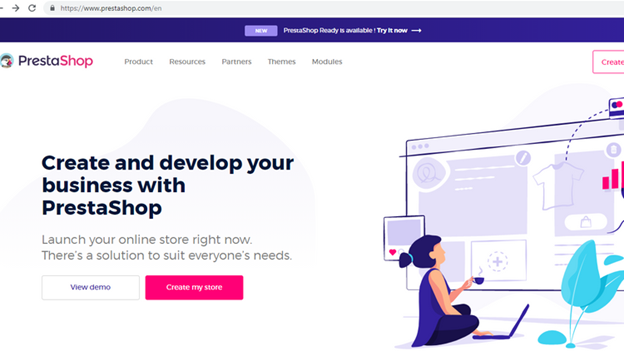 Moreover, this platform is renowned for its scalability and flexibility, meaning that you can easily customize your storefront no matter its size or complexity. 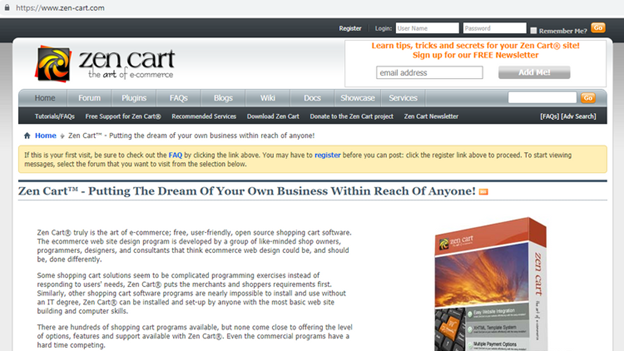 It is the best open source e-commerce platform if you want maximum influence over your website. Zen Cart has an excellent product management system that gives you total control when performing an array of functions such as creating specials, launching sales, and controlling inventories. Nonetheless, this free e-commerce website platform has some notable disadvantages. For one, it slows down as you add new products. Second, its templates are not aesthetically appealing- you will need a talented programmer to modify the code to give your site a more refined look. 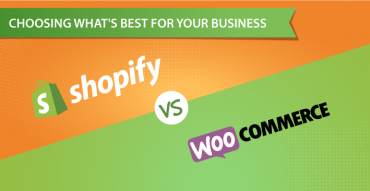 The main shortcoming of WooCommerce is that it can be used only with WordPress. 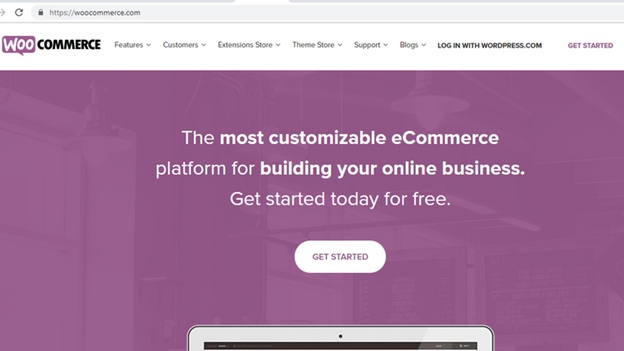 JigoShop is a lightweight WordPress-based open e-commerce platform that allows users to make the most out of their storefront by purchasing excellent plugins, themes, and extensions. This software is quite basic and is a bit lacking when it comes to linking variations. For instance, if you are selling shirts, you cannot merely provide “blue” as the color for all sizes. Instead, you have to create options such as “blue small,” “blue medium,” and so forth. This e-commerce platform is both SEO-friendly and flexible. It has an adaptable administration system and can handle complex payment models, for example, those that are subscription based. 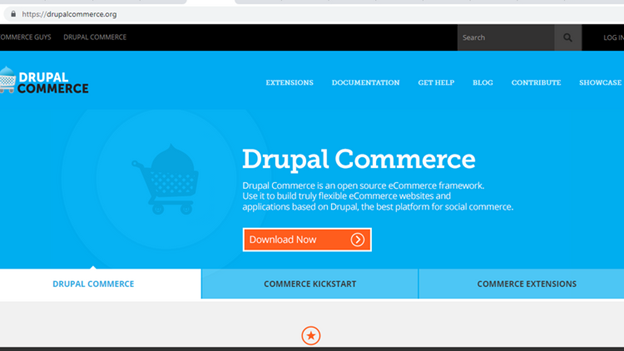 It is important to note that Drupal Commerce is only used with Drupal. You should also opt for the “Commerce Kickstart” package (has popular add-ons) if you need a head start with the platform. 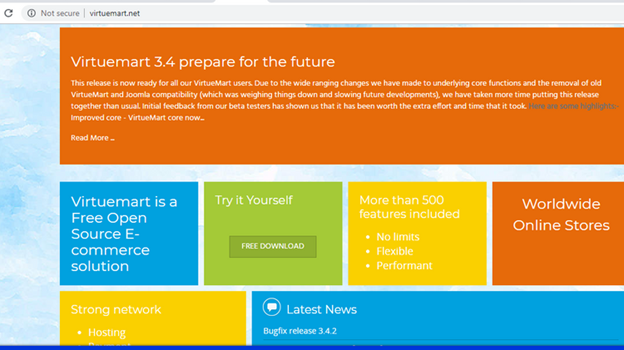 VirtueMart is an extensively used e-commerce extension for Joomla that makes it easy to set up and run your storefront. It comes with a multi-language capability that makes it ideal for retailers targeting international customers. 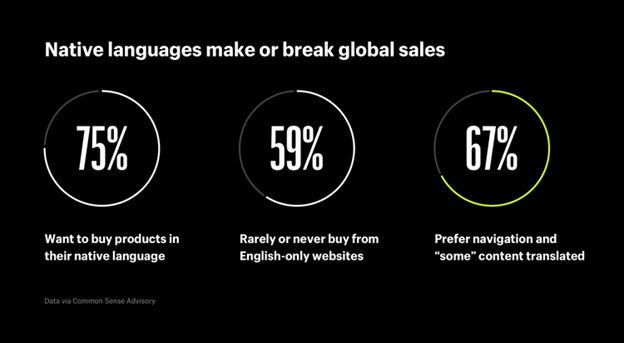 Check out this image from Common Sense Advisory to see the importance of language in e-commerce. Moreover, this software is SEO-friendly and can thus boost organic traffic to your storefront. 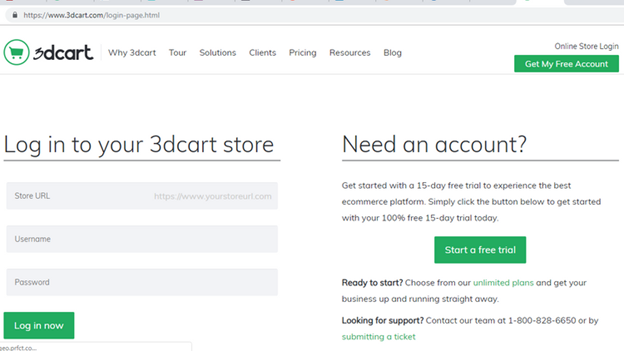 3D Cart comes with lots of features that help you to build an excellent store. You can test out this product in a 15-day trial window and upgrade later if it works for you. It is easy to set up, has no transaction fees, and gives you access to around-the-clock free premium tech support. This platform is ideal for small and medium enterprises. It boasts an excellent user experience that makes it less intimidating when compared to other open source e-commerce platforms. On top of that, it also has a decent user community. These are some of the excellent open source platforms out there right now. 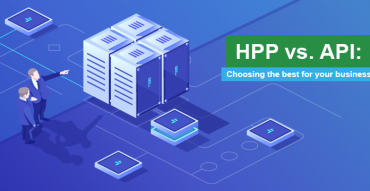 Nonetheless, before selecting any platform, be sure to check out its features, integrations, scalability, the intricacies of its payment models, and long-term costs. Everything should work towards fulfilling your business needs. To conclude, remember that you are not stuck with one option. You can always change your open source e-commerce platform whenever there is a need.